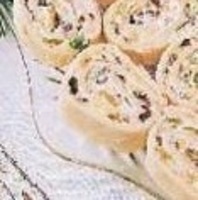 Can't wait to try these...look great for pot luck! This seems a good appetizer that i can make at home... cool. These pinwheels look super.! I will be trying these for my daughter Genesis' birthday coming up. She will be 6. I may even come up with a dipping sauce consisting of salsa, cheese sauce and cumin and lots of cilantro! !